The best way to improve your skating is to immerse yourself in all things skating, especially practice and lessons. 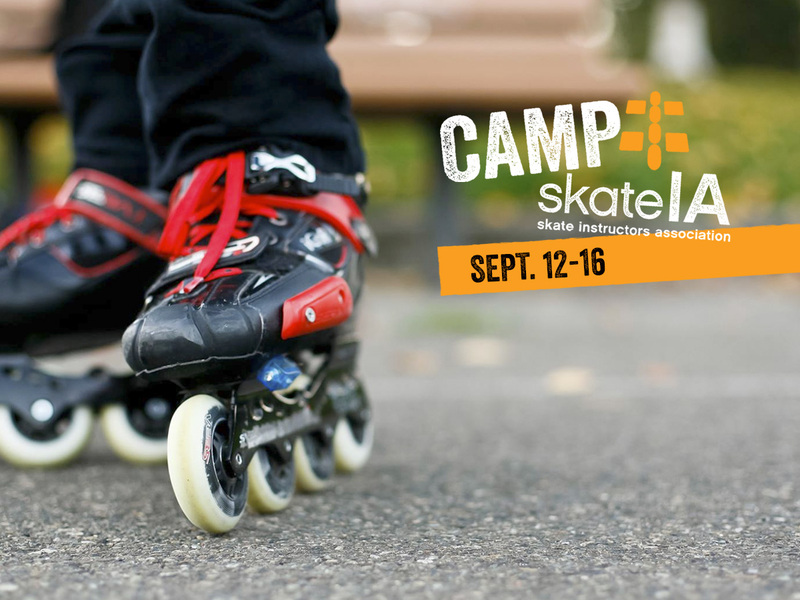 In 1996, while turning 36, I attended Camp Rollerblade in Santa Rosa, CA for a four day camp. Did I ever get my money’s worth. From Aggressive to Dance and all disciplines in between I spent 8 hours a day on the quarter/half pipes, on the dance floor, on the launch rams and on the rails learning, trying, doing so many aspects of skating. There were 350 kids and 50 adults and the most amazing instructors (most were X-Games athletes. 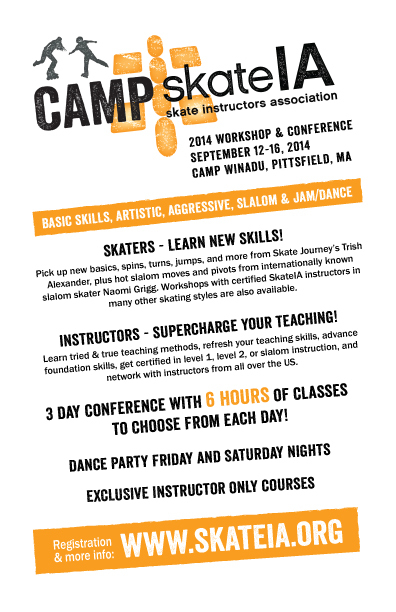 I cannot over emphasize how wonderful, helpful and amazing it was to go to Skate Camp. To be there all day, around other skaters. To be open to all the ways you can skate. To learn new ways to skate that I had not even dreamed of, well…it was an amazing experience. 6 hours a day of classes each of the 3 days (including two each day of freestyle slalom, one for beginners, one for advanced). The schedule will be out soon, email us for a sample schedule. located at a real camp, so housing is inexpensive: $85 for meals and a dorm style bed at Camp Winadu in Eastern Mass. near New York airports. The CAMP only costs $140 for instructor/member, $165 for everyone else. A few of the classes may be double tracked, so that we can offer the types of classes you want. Once you register, you will get to help shape the daily curriculum. If you love to skate then come hang out with other skaters. Improve, learn, surprise yourself. Immersion skating is so fun, so addictive, so doable. Come to camp. You never know when the chance will come along again.